I honestly feel a little embarrassed that it's taken me 12+ months to post about my trip to Iceland. It was a truly life-changing experience, so why has it taken me so long to share it with you? Apart from the hundreds of photos I needed to sift through, I think my hesitation in writing this post is because I can't find a good way to share how unbelievably special this trip was. Apart from the scenery and the adventure, the true reason this trip changed me was because of where I was at in my life when I decided to book it. 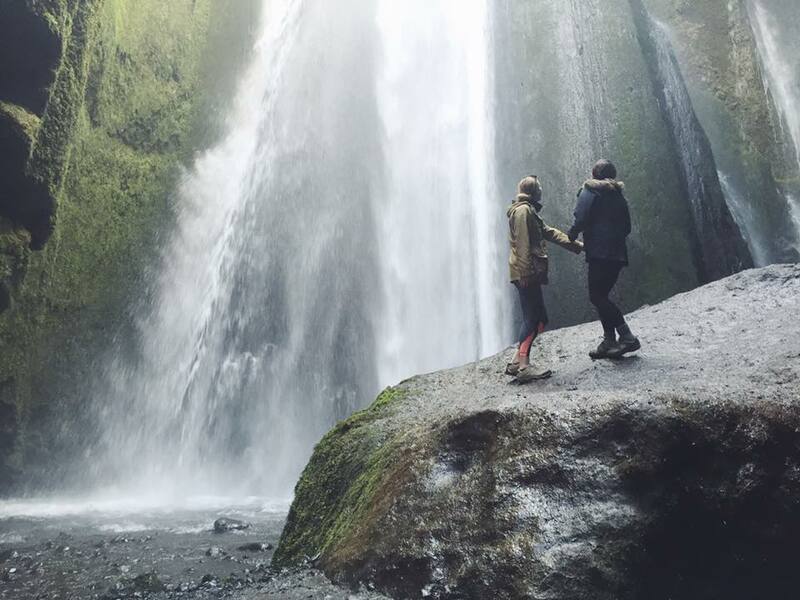 Truthfully, I originally had been planning a trip to Iceland with an ex-boyfriend. I hadn't officially booked flights or a hotel, but I'd done my research on hikes to take, places to eat and things to see. I had mentally committed to this trip, and was excited to do it. When that relationship ended, Iceland (like so many other things) became this ominous place. It felt tainted, dark and bad. I immediately associated the breakup and the old relationship with Iceland, and wrote it off just like that. I quickly learned that that's not a good way to do anything. You can't write off places, restaurants, holidays or people, even if they remind you of something else. It doesn't work that way. Because they're not actually going anywhere. What needed to change was my attitude. I blame most of this on me being in a place of confusion and uncertainty, but I woke up one day and decided that I couldn't hate everything that reminded me of that relationship. And that included Iceland. 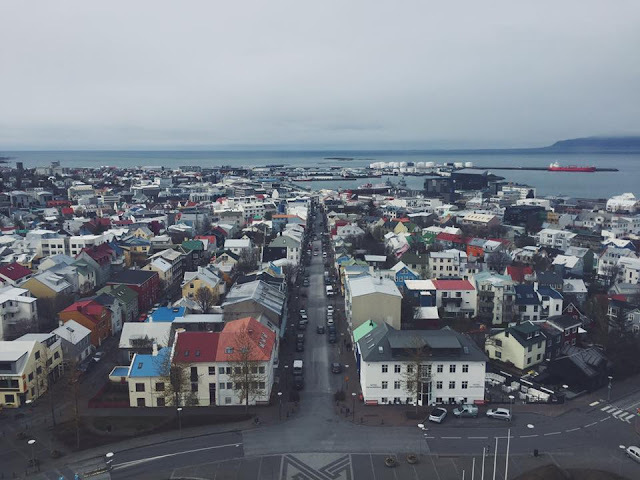 That day, I wrote and sent emails to the two hostels I had researched in Reykjavik. I told them I was thinking of traveling to Iceland, and wondered if they'd ever hosted yoga classes in their space, and if they were interested in having me teach. I figured there was no harm in not getting a response, and I was proud of myself for reaching out in the first place. Within a day, I heard back from Loft Hostel (the place I had really wanted to stay at when planning my original trip there). They'd never had someone teach yoga there, but loved the idea. Even better, they wanted me to teach every day in exchange for free lodging. I've never won the lottery, but this felt pretty damn close. At that moment, I knew I had to do it. Rarely does life ever tell you what to do, but this seemed obvious. I had no one to go with, and had never traveled alone internationally. But I felt that if I could survive a breakup, I could hop on a plane and teach yoga by myself. And just like that, life picked me back up once again - one of my best friends told me she was packing her bag and coming with me for the adventure. And just like that, we were going to Iceland in T-3 months. Riley and I are planners, and that's putting it lightly. We both have planners, color-coordinated Google calendars and make 10+ lists per day. Deciding to travel internationally in an off-the-cuff way like this was way beyond what was normal for us. We booked plane tickets almost immediately, confirmed our travel dates with Loft and rented a car. And from there, we had no other plans. And that's when life helped us out again. 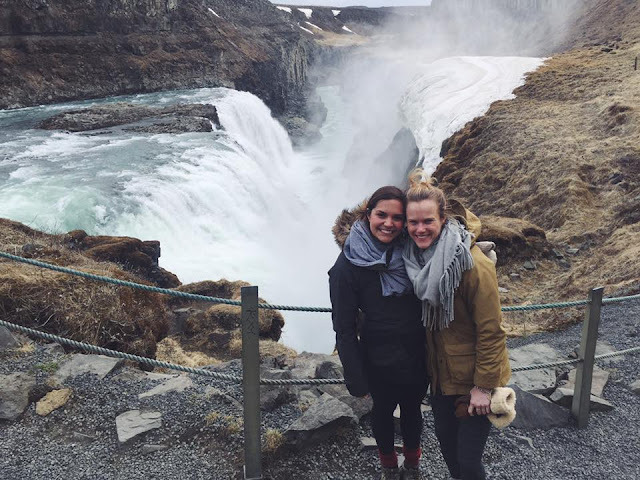 We found really affordable flights to Reykjavik (before IcelandAir started flying out of MSP), and had a 7 hour layover in New York. 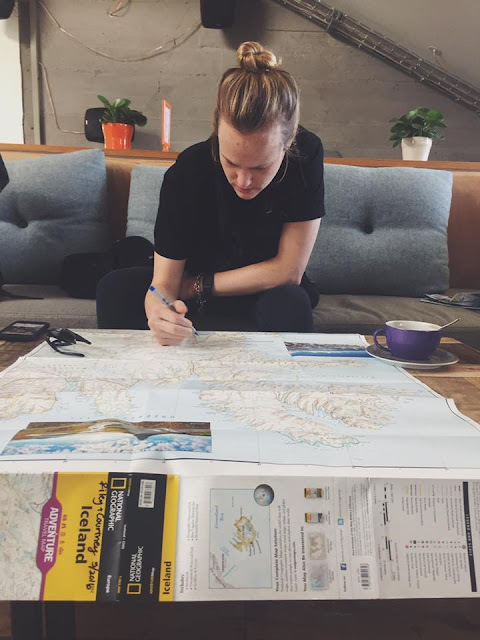 We used the entire 7 hours to research and plan our trip. We did it in roughly 4 hours, fueled by nervous excitement and about 10 cups of coffee. 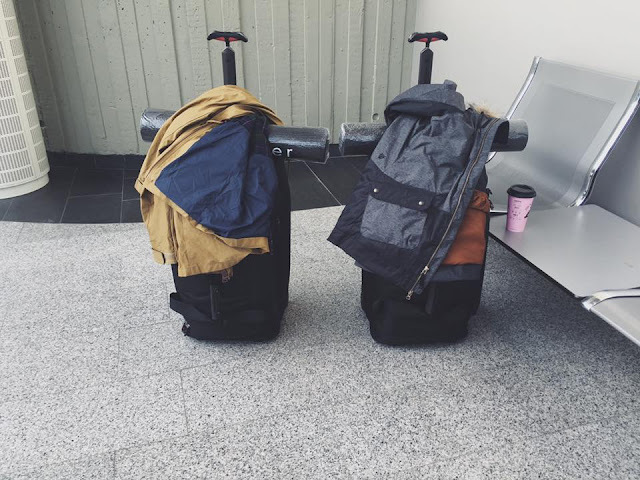 We had our matching roller bags, parkas, yoga mats and big smiles on our faces. We had no idea what the trip would be like, but we knew we were doing something together that truly challenged who we were as people. It forced us to let go of our planners, try new things, be brave and make things happen. These are just a few of the hundreds (not an exaggeration) of photos and videos we took on our trip. If I could share them all with you and let you relive our trip with us, I would. But I can't. Even as I looked through these photos and tried to describe them, you can't put the magic of a trip like that on paper (or online). My best advice? Book a ticket. Now. Go explore and see this incredible country for yourself. The best part? 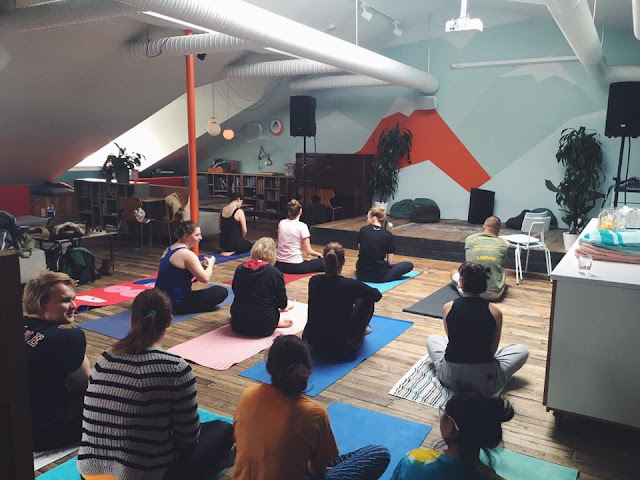 Loft still hosts yoga, every Sunday, for free. And their classes? Completely packed. 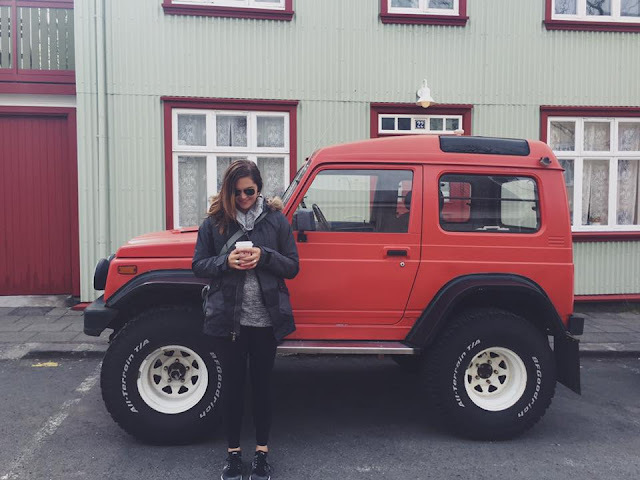 At the Reykjavik airport, we grabbed coffee and our rental car. The airport is beautiful and modern, and the people there couldn't have been nicer. Right after we landed, we headed straight to the Blue Lagoon. People tend to think of this as an expensive tourist trap, and even if it is, it's completely worth it. 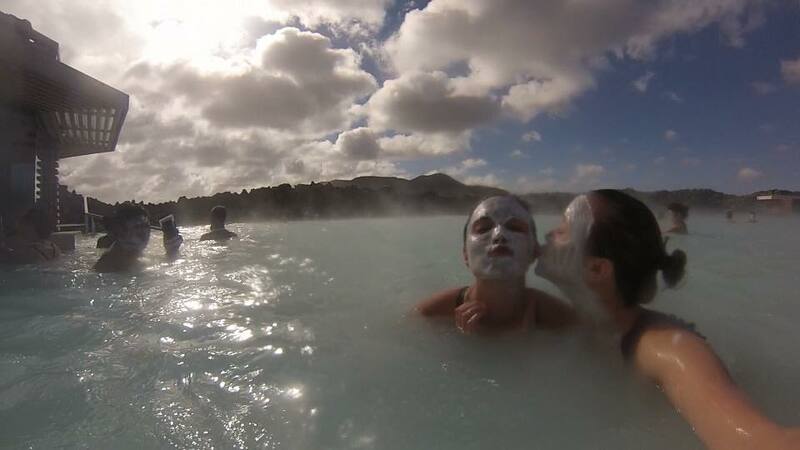 There are a ton of other natural hot springs in Iceland, but they are nothing compared to the blue lagoon. The blue lagoon has jet black rocks with cloudy blue water (the other hot springs look like rivers with steam coming off them), and the whole experience feels like you're at a spa. It's one of the things Iceland is known for, so I'd highly recommend making a pit stop on your way to or from the airport. Much of our trip was spent pulling off to the side of the road to sightsee. Iceland has beauty everywhere you turn. We taught yoga each morning at 11 a.m. Each day, more and more people came (both travelers staying at Loft Hostel and locals who heard about the free classes). People were so open to trying new things and meeting new people. Each day was inspiring. We traveled in May, but it still required a winter jacket. I snagged this Burton jacket right before we left at REI and rarely took it off. 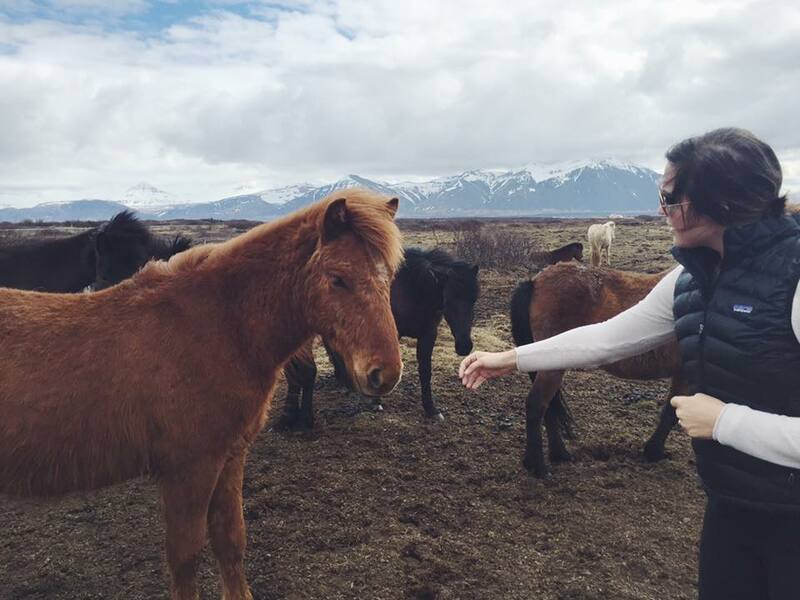 Icelandic ponies are unlike any other horses in the world. We stopped wherever we could to pet them (also, notice the gorgeous mountains in the background). 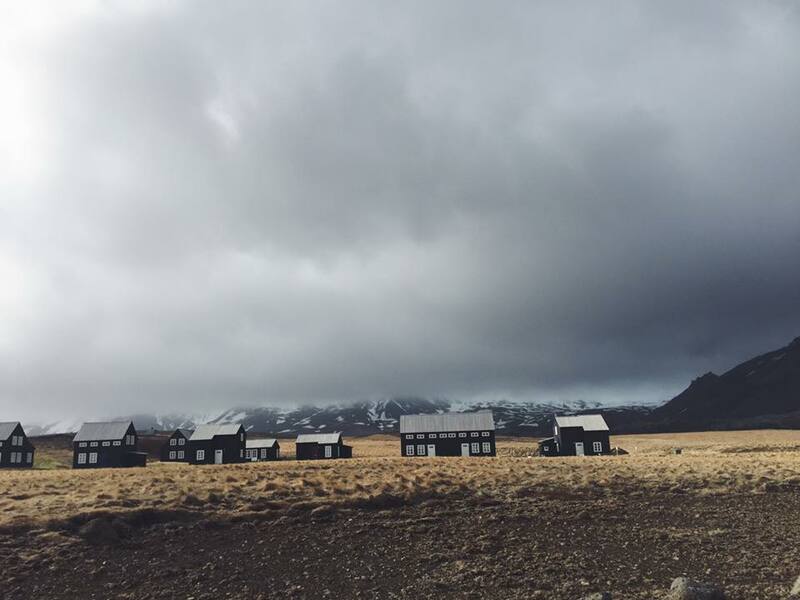 The Iceland you see in photos truly does exist, and it's everywhere. Mountains, rolling grassy hills, little buildings without people. I had my camera in my hand nonstop to capture these little moments. Gullfoss, one of many waterfalls we chased in Iceland. I didn't have words to describe it then, and I don't have words now, either. 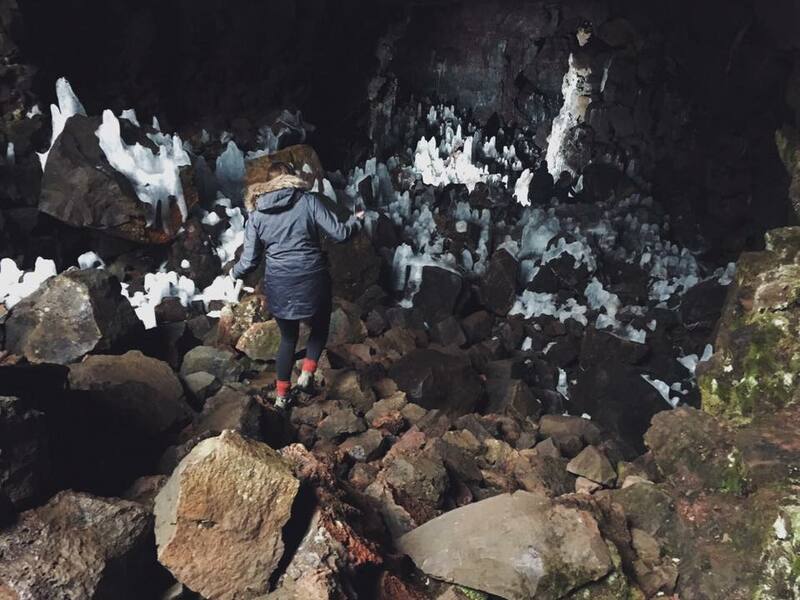 We hit the tourist destinations, a well as places off the beaten path, including this below ground ice cave (Raufarhólshellir - Split Mound Cave). 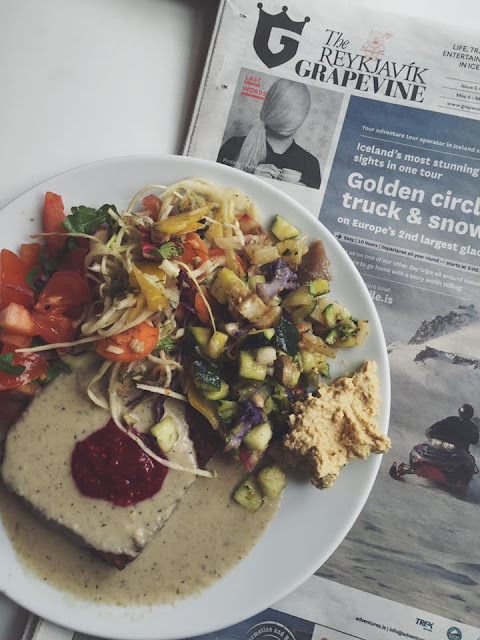 We grabbed lunch at our favorite restaurant in Reykjavik, Glo, almost every day. They served vegan and vegetarian options and had the freshest food. We also read the local newspaper and tried to be as local as we could. 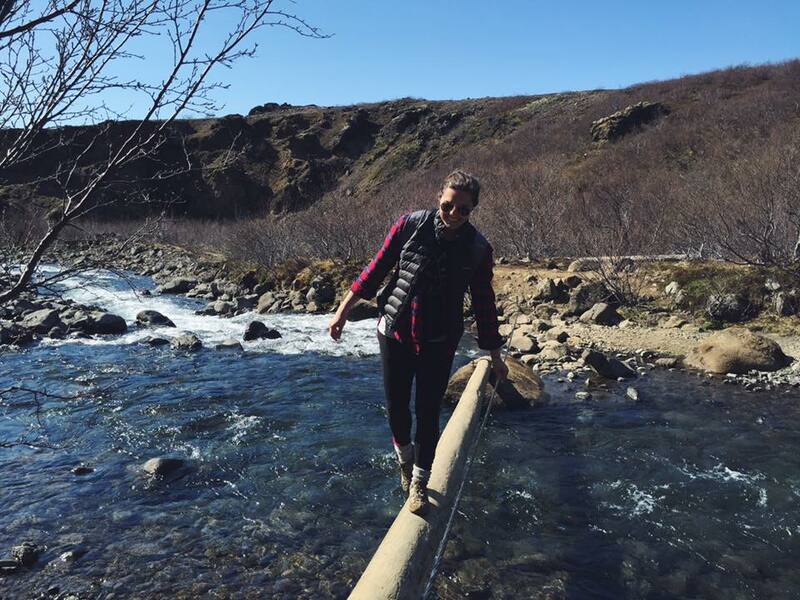 Reykjavik is the capital of Iceland, and the best part is that you can explore the entire city in a day. We spent an entire day drinking coffee and roaming around the city. I loved the apartments and homes in Iceland - they were usually brightly colored and were built to withstand the wind and seawater. I've seen similar versions of this photo on nearly every website or blog talking about Iceland travel. This view can be seen from the upper level of Hallgrimskirkja, the best-known church in Reykjavik. It boasts the best view of the city. Fun fact - Iceland was under prohibition until 1989. Because of that, beer and liquor are a little spendy in Iceland (like that stopped us). 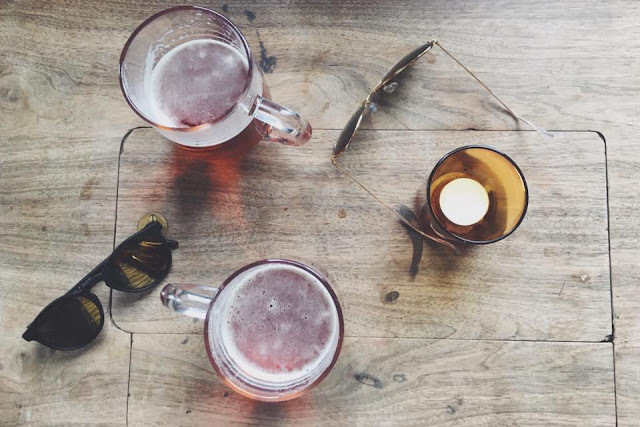 One of our favorite things to do was sip a late afternoon beer after returning back from our adventures (this beer was consumed at Kex, another well-known hostel in Reykjavik). There are so many waterfalls in Iceland! Of them all, I think this one was our favorite. This was at the bottom of Gljúfrabúi (the last in a string of gorgeous waterfalls that you can see from the highway). You're able to climb to the top of the waterfall, and then descend to the bottom. It's still one of the most magnificent things I've ever seen. 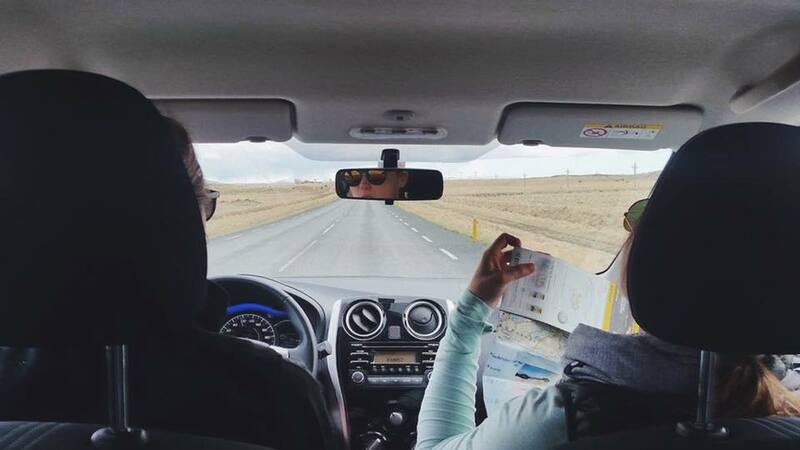 This was what every day looked like - Riley was our pilot, and I was her co-pilot and map novice. Going by a paper map only in a foreign country was a challenge for us, and we loved every minute of being without our phones. This is the reason Riley and I went to Iceland (honestly). 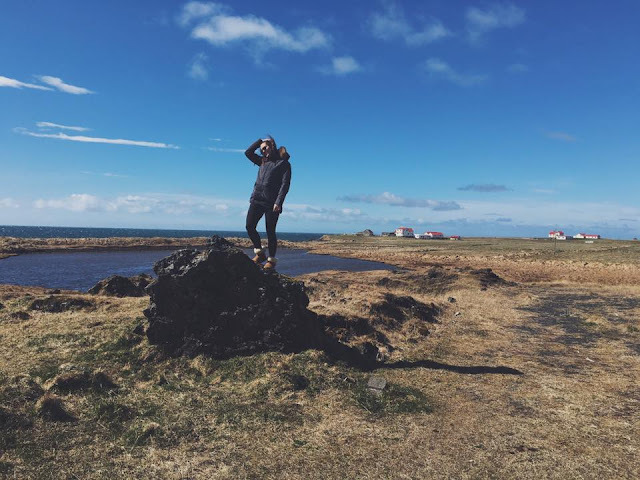 Seljavallalaug has been photographed and shared by thousands of different bloggers // travelers // travel websites and magazines (see for yourself on Instagram). We knew we had to see it for ourselves. It's about a mile hike from the parking lot. Out of nowhere, a break in the mountains appears, and so does this man-made natural pool. The water is comfortably hot, and you can see it drip from the mountain hot springs directly into the pool. 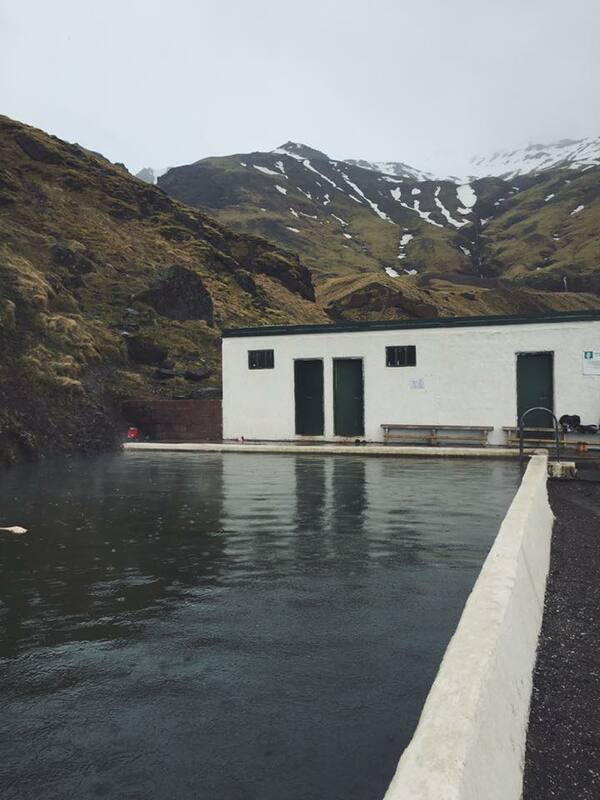 It's one of the oldest pools in Iceland (circa 1923), and people still travel from near and far to swim in the pool and take in the scenery. We weren't kidding about the waterfalls. This was at Skogafoss. After a brutal hike to the top, we enjoyed every second of this view (we clearly aren't afraid of heights). This is an area in Southern Iceland where the Dyrhólaey lighthouse is located. 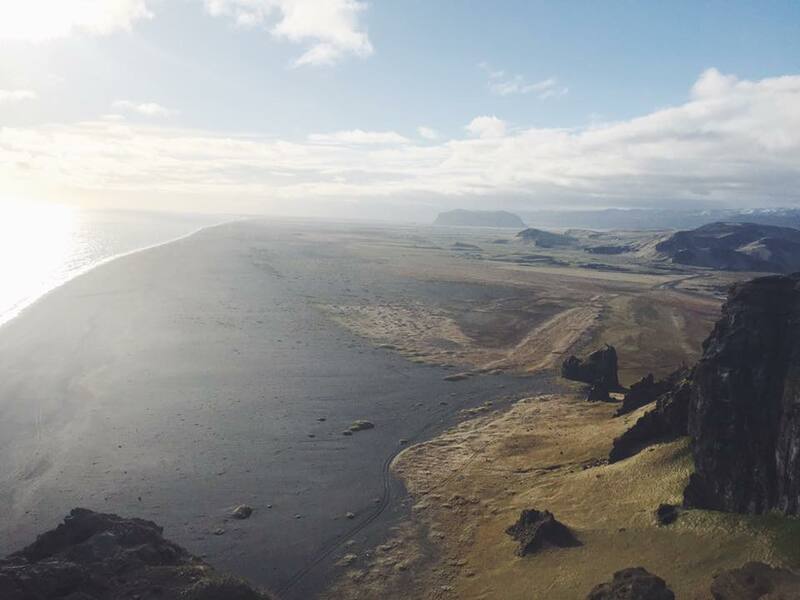 From the top of the cliff, you can see mountains, hills, the black sand beach and the sea. I guess the lighthouse is now a hotel - if you can, I HIGHLY suggest you book it. This view is indescribable. 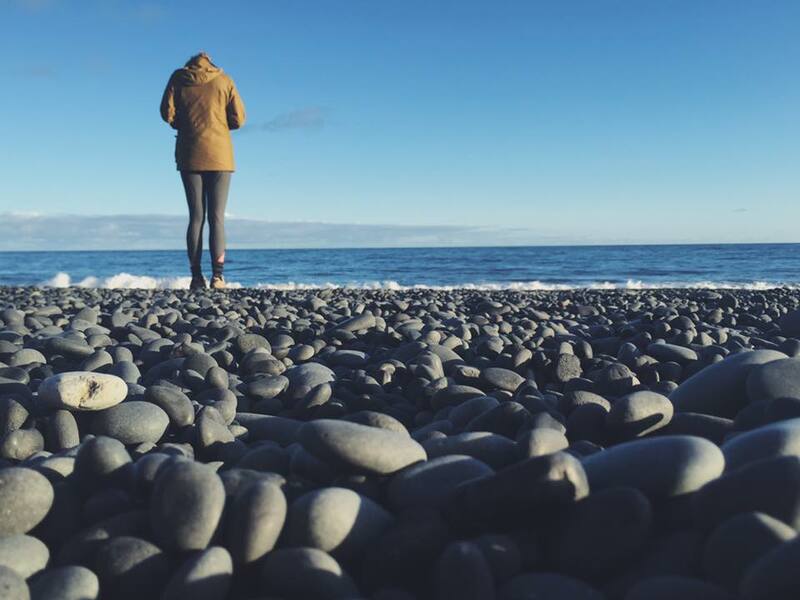 Black Sand Beach is a beach in the Southern city of Vik (located in close proximity to the lighthouse). 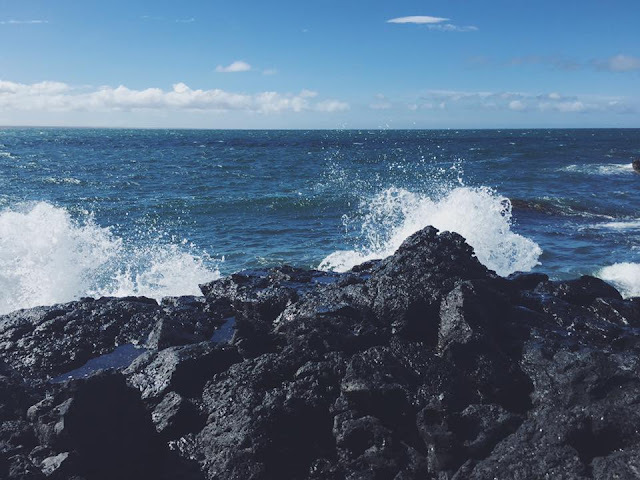 The beach is made entirely of black stones. It was incredible to look into the ocean and know that there really was nothing south of Iceland (I think technically, the next continent directly south of Iceland is Antarctica...the United Kingdom and Africa are technically east). Riley loved this beach. On our last full day in Iceland, we hiked Glymur, Iceland's highest waterfall. Another fun fact - Riley and I hiked the wrong peak of Glymur first. 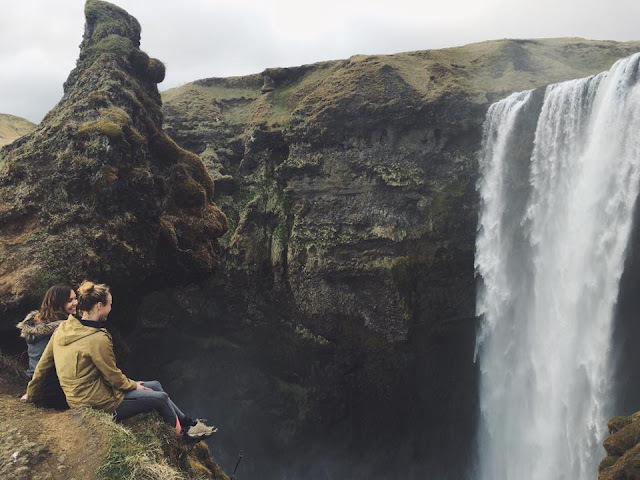 So we technically feel like we hiked the highest waterfall in Iceland twice. On the correct leg of the hike, we walked across rivers and used rope to ascend the mountain. It sounds a little bit more badass than it is, but it was the perfect way to round out our trip. 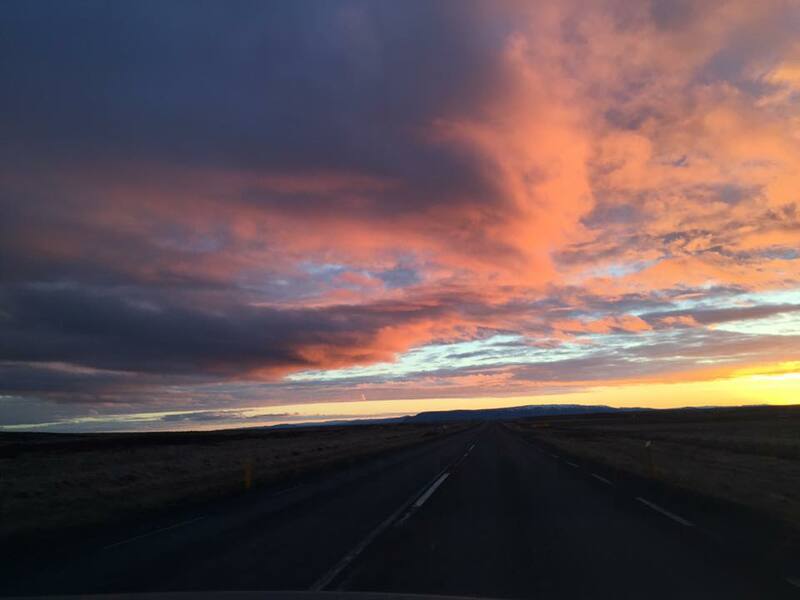 Every sunset in Iceland looked like this (seriously, no filter). It stayed light out until 10 p.m. or so each night, and every day we made it a point to watch the sunset. Iceland is a truly rugged, wild and unbelievably magical place, and these sunsets reminded us of that.